What is the connection? Why should they suffer? They didn\’t do anything bad. Where is the sin (cause) to bring a punishment (effect)? Numbers 33:55 But if you do not drive out the inhabitants ofthe land, those you allow to remain will become barbs in your eyes and thornsin your sides. They will give you trouble in the land where you will live. Numbers 33:56 And then I will do to you what I plan to do tothem.\’"
God is telling Moses to inform the children of Israel that they are about to enter the Land that he chose for them as inheritance. God gives specific instructions to remove and destroy the inhabitants of the Land with all their idols and places of worship. God is specific, "this is your land and you can divide itamong yourselves". Then comes verse 33:55 (above), which we can easily understand. If we leave some of them in the land, they can cause trouble. It makes complete sense. But when we come to 33:56 (above), it doesn\’t make much sense.Here God is saying that whatever he planned to do to them, will be done to the Israelites. This is a point where we should understand the reason forthe whole creation. God made this world for us with a perfect system of cause and effect. On the Seventh day, God turned on the main switch and the world started running on the basic principles of cause and effect. God is the system.God is in every Atom of existence, ready to empower every desire that we have.We can do good or bad with that force, it is our choice. In verse 33:56 the Torah teaches us that if we leave room for negativity, it will invade every part of our existence, the eyes represent the consciousness and the sides are our outer existence. The Hebrew text explains the effect deeper than the simple English translation. It uses the root word "image", like in "\’Letus make man in our image". This is the process of evolution fromspiritual to material. When the chaos is the manifestation of the forces of negativity,if we let it stay in our dwelling then we will have chaos as well. "One bad apple spoils the barrel"
Get rid of negativity from yourself and your environment. Aslong as you fight it out you\’ll be in good shape, but if you give up and let itin, chaos will rain. This Shabbat is called "Shabbat Chazon", (Shabbat of Vision). The name is after the prophecy that we read after this week\’s Torah reading. It is the first chapter in Isaiah and also the first prophecy of the prophet that brings most of the final redemption prophecies. His name Isaiah means "God will redeem". Here I bring you the actual chapter in English translation (NIV) and after each verse I\’ve added my explanation. I suggest you read each verse twice. – Calling Heaven and Earth is like addressing the whole creation. – In nature, an Ox knows his master and a donkey knows who feeds him. The people of Israel did not connect to the upper source of the light, Chokmah and Binah. – Not only they didn\’t draw the available Light from the Holy one; they transferred their light to negativity. – You reached a lower point. – All the benefits that were available for you went to negativity. – The kingdom of the light (Malchut) left undesired. – By the grace of God the Light kept flowing to sustain us. – To all the greedy ones and those who don\’t treat others with human dignity. – I\’ve had it with you! I don\’t need your offerings. You are trying to cover your evil actions with burnt offerings and I don\’t want them. – Who asked you to come and try to connect to me? Don\’t come with your pride to desecrate my Holy places. – Stop all your offerings and prayers, I don\’t want them. Your Torah reading on Shabbat is rejected. (Torah reading of Shabbat is the highest connection of the week and draws the most Light). – Your monthly blessings and holidays are full of selfishness and it makes me sick. – Don\’t even try to raise your hands in prayer. You will never reach higher levels. I don\’t want to hear you when you act with greed and selfishness. – Cleanse yourself from negativity and stop your selfish desires. – Seek the tree of life and the central column with the right actions. – As I promised you, I will help you purify yourself. – If you just open your desire for it I will bestow only good upon you. – Your going away from the path is like a sword that will hurt you. – I gave you connection to the Tree of Life and now you let negativity have a strong hold on it. – Your fake sharing acts are no longer accepted. the widow\’s case does not come before them. – Social structure is also corrupted. – It will come to the point where I will have to force the cleansing process. – I won\’t stop until I remove all negativity. – I will restore the connection of Jerusalem to the upper levels and create continuous flow of the light to this world. – The upper channel of Yesod (6th sefirah) will hold the central column and will draw chokmah and Binah (Supernal Father and Mother) to all levels (7 sefirot) of the material world. The reading from Isaiah ends at verse 27, in order to have a positive note and hope for the vision of the future. Before he passes away from the world, Moses reveals God\’s promise to fight the final battle for us and remove all negativity. The rest of Isaiah\’s prophecy (Isaiah 1:28-31) tells us that when God reveals himself to all and brings the light of redemption, all negativity and those who left the connection with God, will burn and cease to exists. What do we need to learn from this message? The prophecy teaches us that if we are not good to each other (verse 16, 17), there are no open door to God. Before we do any "religious" or "spiritual" ritual, there is one important and simple rule. Treat each other with human dignity with love and without any personal agenda. If you see a person in need on the way to your Temple, Church, Mosque or Synagogue, remember that God want you to be good to others BEFORE you come to him. If you are late to the service because you helped others, God will look at you like a father is proud of his child\’s achievement. Don\’t hurt anybody, don\’t cheat and don\’t lie, especially to yourself. If you still have negativity to cleanse and you find yourself in a place of worship, have a simple prayer from the bottom of your broken heart. "God, please help me clean my act, help me love others like myself". Just repeat it again and again and again and again until you feel the light comes in. (I did it myself countless times in the past until I felt no more anger or hate toward others). Only then I took a prayer book into my hands. And you are one of them! Are you? Before you treat me like a crazy person, please go to Deuteronomy 14:1 "You are the children of the LORD your God…". The Hebrew words used are " בָּנִים אַתֶּם, לַיקוָק אֱלֹהֵיכֶם" and there is no mistake when referring to "Sons". Remember that we are in the book of Deuteronomy, which is the last book of the Pentateuch and it represents Malchut, the level of manifestation. Since we are talking Torah here, the manifestation is revelation of the previous 4 books. Like the light of the sun traveling in space, you know it is there and can find many hints to its existence (Heat , Radiation etc..) but you won\’t see it until it is reflected from a material object. The light of the whole Torah is revealed here by Moses. The book itself is also called "Mishneh Torah", which means the "repeated Torah". The name of this portion is "Re\’eh" and it means "To see". The numerical value is 206 and with the Kolel (adding 1 for the whole) = 207 = Light (אור) = Secret (רז). When we add the letter Yod we have ראיה = seeing and its numerical value is 216. This number represents the 72 names of God (216 letters) and the female aspect of the light in Malchut. Now let\’s reveal the real secret of this verse. The whole verse says "You are the children of the LORD your God. Do not cut yourselves or shave the front of your heads for the dead". This means a simple thing: "Death has nothing to do with the body". Ask any physicist about what happens to the body after death? Is it gone? He will answer you that the body is still in existence, just in a different form. The atoms of all people from the past are still traveling in space (don\’t look up to the sky) and you may even be inhaling the atoms of Abraham or Mozart or … at this moment. The Zohar comments about this verse that we are the sons of God when we connect Chokmah (Aba = Father) and Binah (Ima = Mother). This connection to father and mother put us in the state of Son of God. This can be achieved when we act with consciousness above the material. When you read the parasha you find many examples on how to connect higher. I will bring just one example that demonstrates how much God gives us the opportunity to connect to him and get certified as "Son of God". In 15:7-10 God tells us to be generous and help the poor. In 15:11 we read "There will always be poor people in the land. Therefore I command you to be openhanded toward those of your people who are poor and needy in your land. ", Again "There will ALWAYS be poor people in the land.". God promises us an endless supply of poor people. When we see poor people we should not think that someone else will take care of them. We should do that willingly and with open heart. Only then you can have the God\’s blessings like a good son. Connect to Father and Mother and start with your own parents. Treat them with all the respect and love and not just because it is the fifth commandment; "Honor your father and your mother, that your days may be long upon the land which the Lord your God is giving you" ,but because it is the closest connection you have to supernal Father (Chokmah) and supernal Mother (Binah). Give them a call and say you love them. If your parents passed away then share this article and/or the lesson of it with other people. When the Torah talks about death it is almost never about termination of life as we know it. The first time we read about a warning of death as a result of an action is in Bereshit (Genesis) where G-d tells Adam and Eve "Do not it (eat) from the tree of Knowledge…" "כִּי, בְּיוֹם אֲכָלְךָ מִמֶּנּוּ–מוֹת תָּמוּת" "in the day that you eat from it you will surely die." \”ונכרתה־הנפש־ההוא־מעמיה\” \”And that soul shall be cut off from his people\”. This warning appears four times in the parasha. What does it mean? 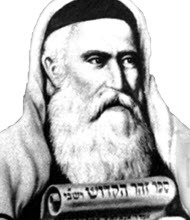 According to Chazal, including Rabbi Chaim Vital and Rabbi Abraham Abulafia, utilizing gematria is the deepest level of understanding of the Torah we can have, and a brief review of the first verse of this weeks\’ portion Tzav reveals why. The Torah is a highly complex matrix of knowledge, blessings, instructions, insights, technology and their underlying codes. Within this matrix, as with most processes in the universe, the beginning sequence, or as some refer to it, the seed level, is what sets the tone for the whole portion. And so it is with Tzav. The first verse of Tzav, (\”וַיְדַבֵּר יְהוָה, אֶל-מֹשֶׁה לֵּאמֹר\”) is an oft repeated one in the Torah and it contains 5 words or 18 letters: VYDBR YHVH EL MSH LEMR (\”וַיְדַבֵּר יְהוָה, אֶל-מֹשֶׁה לֵּאמֹר\”). When we look at the underlying standard gematria (222, 26, 31, 345, 271) of this seeming simple verse, \”And God spoke to Moses, Saying,\” we see that the first two words sum to 248, the same value as Racham and Richem (\”רחם\”), Mercy. The next two sum to 376, the same as Shalom, Peace, and the final word breaks down directly to Lo Mar (\”לא־מר\”), \”No bitterness\” so we see the verse is actually a blessing for us of \”Mercy, Peace and No bitterness,\” and since the very next word is Tzav, to command, this is what G-d is offering us and commanding of us. But the coding is even more beautiful than that because this simple 5 word, 18-letter verse also connects us to Creation and the purity of the seed level of the Torah, through its first word and verse in multiple ways. When we add all 5 words together we get a total standard gematria value of 895 and then add to that 18, the kolel for the 18 letters, we get 913, as in the value of the Torah\’s very first word, Bereshit (\”בְּרֵאשִׁית\”) (\”In the Beginning\”). Moreover, this verse is repeated 6 times in this portion (Leviticus 6:1, 6:12, 7:22, 7:28 and 8:1) and according to Chazal, 6 always stands for the letter vav, and Zeir Anpin and the six extremities (physical directions), which are all one and the same and are represented by the six sefirot (Chesed, Gevurah, Tiferet, Netzach, Hod and Yesod). These six are broken down into the upper three and the lower three, corresponding to the upper and lower triangles of the Magen David (Star of David). This is important because when we add up the numerical value of three verses we get 895 + 895 + 895 plus 15, the kolel for 15 words in the three verses and add 1, the overall kolel for the equation, we get 2701, the exact value of the Torah\’s very first verse. That this verse is repeated 6 times in this portion and that it is first found here at 6:1, and first found in the Torah at Exodus 6:10, is no coincidence either: in the same way that there were 6 days of creation; and that all but 6 of the columns in the Torah start with the letter vav, whose numerical value is 6; and that 60% of the verses in the Torah begin with a vav (6): or that the sum of the square roots of all five words is 60.60; or that the 18 letters, which everyone knows represents Chai (life), is 6+6+6; or that the little known small gematria code for this verse (61422, 1565, 13, 435, 3142) plus the kolel of 5 and of 18 for the words and letters sums to 66,600; or that the sum of the 24 permutations of the value for the Torah\’s first verse, 2701 is 66,660; or for that matter that the six alephs in the first verse spelled out have the combined value of 666. So why 6? Most kabbalists know the letter vav, Zeir Anpin and the 6 sefirot to be a channel from the upper divine consciousness to us, malchut (kingdom), but according Rabbi Chaim Vital of blessed memory it\’s also protection (just like the Magen David) for us, a way and a space for us to process everything mitigated with mercy as opposed to facing severe judgment directly; it\’s a connection to the YHVH. There is much more in this verse for more advanced students of gematria and Kabbalah, such as the numerical value of the first word (VYDBR) in the oft used gematria atbash being 424, the same Mashiach Ben David and the third or middle word, El, being 42 as in the Shem Mem-Bet, and that the small gematria value of the last word (LEMR) is 3142, the same as that of Ehyeh Asher Ehyeh (I Am that I Am), but it\’s noteworthy for everyone that the first letter of each of the 5 words spells out Yom El (\”יום־אל\”), or G-d\’s Day, once again referring to the 6 days of Creation through the 6 verses, helping us to recreate, refresh and renew our world and lives as we prepare for Pesach–there are no coincidences in the Torah, only deep technology to help and inspire us.